Looking for the perfect picture book for your inquiry on animal habitats and adaptations? 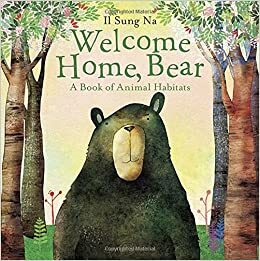 Here it is: Welcome Home Bear by Il Sung Na is a gorgeously illustrated tale of a bear looking for a new home. Bear tries out many the many different homes he sees other animals enjoying, but finds that they aren’t quite the right fit for him.